Grab the Samsung 960 Pro in 512GB or 1TB capacities for $200 and $400 respectively, as well as cuts on Acer PCs and monitors. Today’s a good day to grab some great gear for your PC or pick up a new one at a great price. Amazon’s got a one-day sale on PCs, components, and accessoriesRemove non-product link, and there are some great discounts to be had on blazing-fast SSDs, super-lightweight Chromebooks, high-def monitors, and more. The sale ends just before midnight Pacific Time on Tuesday evening. Here are our top picks. 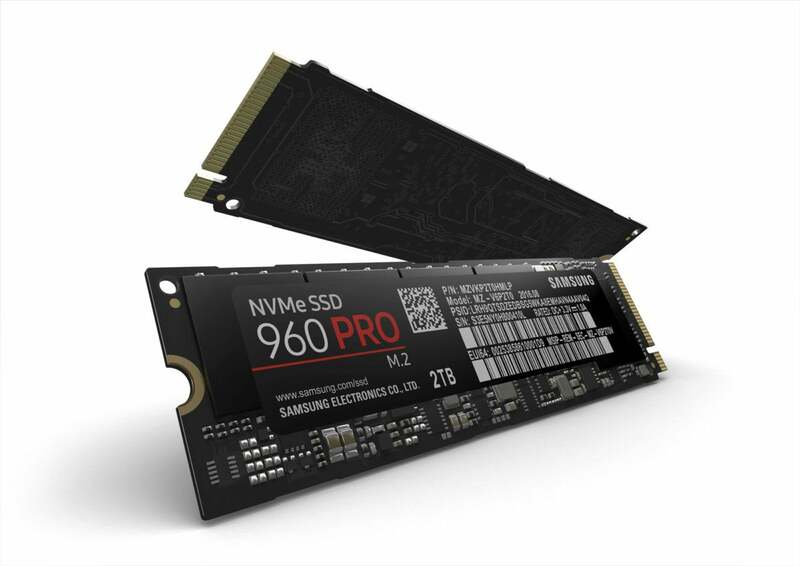 The Samsung 960 Pro was one of our best reviewed SSDs in 2016. We love the drive for its NVMe interface and zippy performance, but it's usually a little pricey. Today, you can get two capacities of this M.2 stick for much less than retail. The 512GB version is $200Remove non-product link, $60 off its most recent price, while the 1TB version is $400Remove non-product link, which is about $100 cheaper than it has been lately. Before you jump in to either of those, however, you can upgrade to the 970 Pro (a drive we also really like) for just a few dollars more. Separate from this sale, Amazon is offering the 512GB model is just $230Remove non-product link, while the 1TB 970 Pro is actually cheaper than its 960 counterpart at $340Remove non-product link. The Acer Chromebook R 13 is $315 todayRemove non-product link, a savings of about $75 off its most recent price, and matching its Prime Day sale price. This laptop features a 13.3-inch 1080p touchscreen, 4GB RAM, and 32GB storage. It doesn’t have an Intel processor, instead opting for the MediaTek MT 8173C. This laptop can also run Android apps, but its fate for running Linux desktop apps–an early feature for select Chromebooks–is unclear. If a Chromebook isn’t your style, there’s also an Acer Aspire Desktop for $360. That’s $90 off its most recent price. You don’t get a discrete GPU with this model. Instead it has the Intel HD 630 Graphics built-in to the PC’s quad-core, 3GHz “Kaby Lake” Core i5-7400 processor. It also has a 2TB hard drive and 12GB DDR4 RAM. It’s pre-loaded with Windows 10 Home and comes with a keyboard and mouse. Our final top pick is the Acer G247HYL 23-inch 1080p monitor for $100Remove non-product link—a savings of $30. This is a basic monitor with VGA, DVI, and HDMI inputs. No FreeSync or any gamer-friendly features.